The management teams of Proof Positive and Autism Learning Partners are excited to announce that the two companies joined forces to create the leading organization in the country dedicated to providing premier services for individuals and families living with autism and related disorders. The combined organization enables us to expand our range of services and connect thousands of children to a full-spectrum network of support services. Together, Proof Positive and ALP will expand geographically and increase our influence in the autism community. 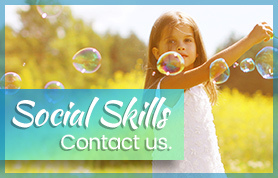 Call us at 888-805-0759, send an email to info@autismlearningpartners.com for assistance. Wherever you are in the process, there’s no such thing as a stupid question! At ALP, our social skills group is designed to support each child individually by providing more focused goal planning and the ability to reach key milestones …all while having fun and making friends. For more information or to sign up, contact us today.